The idea is that everyone shops in person on Black Friday (the day after Thanksgiving, for those of you not in the US), everyone shops online on Cyber Monday (the Monday after Black Friday), so why not try to get people to give some of what they have left to those less fortunate (i.e. non-profits) the following day. Voila! Giving Tuesday. Non-profit direct mail fundraisers know that one of the worst times to send a fundraising letter for a charity is in the couple of weeks before a major election. Why? Because the candidates and their supporters are going to be flooding mailboxes with oversized postcards, self-mailers, and every other type of direct mail communication possible. Fundraisers know that if you send a letter then, it will get lost in the barrage of letters and tossed in the trash alongside the rest of the “junk mail.” Better to send the fundraising letter before or after election season. The same thing applies to sending e-mails, social media messages and direct mail for #GivingTuesday. This year, every other non-profit, large and small, is going to be sending messages that day. How sure are you that your e-mail or social media campaign is going to be able to cut through the clutter? Sure, you may raise some extra money that day by sending out an e-mail, but that’s not the measure of success. The real measure of success is, if you sent out the same fundraising e-mail at a different time (say, the week after #GivingTuesday), would you raise more or less than if you sent it out on the big day? Take a cue from direct mail experts, and send your fundraising communications on a day when your communication can be the star of the show… not a day like #GivingTuesday when you will be one of dozens of requests your donors receive. While the organizers of #GivingTuesday are trying to make it a well-rounded phenomenon, the fact is that it is still primarily a social media activity. On the big day, social media streams are going to be flooded with messages asking people to click over to “Donate Now” pages to make a gift. Aside from the problem of cutting through the clutter, which we mentioned above, the truth is that social media is a terrible fundraising medium. Most people do NOT click donate now because of a social media post. What social media is good for is sending people over to your organization’s website by posting links to interesting, compelling, and informative content. Once donors and prospects click over to your website, you should be doing everything possible to get them to give you their e-mail address (e.g. by signing up for your e-newsletter or to receive an e-book or other giveaway). E-mail is the killer fundraising app on the web. Everything your non-profit does in terms of fundraising online should be geared towards getting an e-mail address from prospects with permission to use that e-mail address to send updates and news on your work – with, of course, the occasional solicitation thrown in. For more on how to use social media the right way for fundraising, read Figuring Out Your Non-Profit’s Social Media Strategy. Posting lots of social media messages on #GivingTuesday asking people to donate – NOW – to your non-profit is a waste of your time and the goodwill of your followers. Many of the same folks telling you that you should be running #GivingTuesday campaigns are the same people who, for the rest of the year, tell us that we need to be focused on donor retention. Why, then, are they pushing a “spot giving” tactic like #GivingTuesday? Spot giving tactics are fundraising strategies that encourage one time gifts or gifts that are so tied to an external event as to take them out of the normal giving pattern for a non-profit’s donors. For example, when your non-profit runs a crowdfunding campaign online, you are likely seeking spot giving… asking people to give over and over again, more than they normally give, or for the first time, just this once because this is so important. Now, I’m not saying spot giving is always wrong. If you are going to make a transformational amount of money or be able to do something that radically moves your organization forward because of the money you raise through spot giving, go for it. That’s why I am a big fan of crowdfunding efforts. You can raise a lot in a little amount of time to do big things. But know that there is a dark side to spot giving. When you later approach your donors as part of your “normal” fundraising efforts – you know, the ones that are spelled out in your donor system and your fundraising funnel – they will feel like they have already given as part of your previous effort. 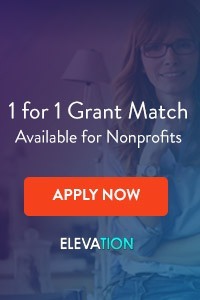 And, unlike capital and endowment campaigns, which are gently pitched to pre-cultivated donors as part of an overall strategy to maintain annual donations while raising a large amount of money, spot giving campaigns use such volume and intensity of solicitation that it’s hard to fit it into a smart overall strategy. I know you’ve seen the statistics online… In 2012, donors gave over $10 million to non-profits online on #GivingTuesday, an increase of over 53% from 2011 (see the infographic from MDG Advertising here). That means that #GivingTuesday resulted in somewhere between $5 million – $10 million in donations to non-profits that day. Undoubtedly, a lot of these donations (perhaps many more than half) would still have been made to organizations, just on another day. But, for arguments sake, let’s say that the entire $10 million was the result of #GivingTuesday. So what? $10 million, across the thousands of non-profits participating, isn’t that much money. And, when you factor in the hours that every non-profit participating in #GivingTuesday spent on the project, the ROI is pitiful. Now, there’s no way to know the full statistics from #GivingTuesday, because the numbers are spread across thousands of organizations. But, we do know that there were 2,500 official “partner” organizations for the big day. Undoubtedly, there were far more non-profits trying to use #GivingTuesday to raise money, but let’s stick with that low number. Even if there were only 2,500, that means that, in the best case scenario, the average organization raised just $4,000. Now, that may sound like a lot, but what could your non-profit do if it spend the same amount of time on major donor calls or doing end of year donor meetings? Let’s say you spent 5 hours on #GivingTuesday activities online. Do you think you would have raised more, or less, if you had spent those 5 hours meeting with your top 5 donors or calling your most engaged 15 givers? I can hear what you might be thinking… with all of the hoopla around #GivingTuesday, why am I trying to put a damper on the fun? I’m not. And I am not in any way condemning the organizers of the day or any non-profit that decides to participate. That’s your call, and I know that it is all a noble effort to support valuable charities. But… particularly if your non-profit is small or time and resource challenged, I encourage you to think through the four points above before you decide to spend time on #GivingTuesday activities. It is my belief that you will be far more successful, with far less time spent, and with far better relationships built with your donors, if you focus on other year-end giving activities, and avoid #GivingTuesday this year. Joe – with all due respect, I have to disagree with your advice that nonprofits avoid #GivingTuesday. * Your Message Will Get Crowded Out – How is this different from year-end campaigns, breast cancer awareness month, Valentines Day, etc? Nonprofits are incredibly creative folks who can leverage #GivingTuesday to stand apart from their peers. Look up #unselfie on Twitter, as an example. * You Won’t Raise A Lot – Depends on the organization and how mature they are in their use of social media. Twin Cities Habitat for Humanity raised over $215,000 last week during GiveMN. And while some organizations may not raise money, they can use the collective exposure of #GivingTuesday to grow their email list, Facebook fanbase, and most importantly strengthen their communications muscles. * The Truth about Social Media Fundraising – I’ll be the first to agree that social media stinks for fundraising – if you define fundraising as donations. Email converts much better than social media, and of course face-to-face converts best! 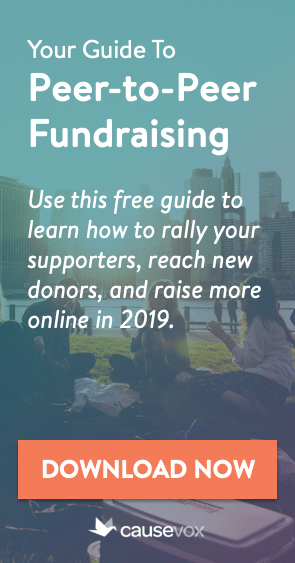 That said, social media is about listening to and connecting with your community, which are critical parts of any fundraising relationship. #GivingTuesday is a chance for nonprofits to learn how to integrate social, email, and other channels in a well-planned campaign. I think many of your points are important considerations for nonprofits, but not deal-killers in their #GivingTuesday participation. I really appreciate you opening up this conversation, Joe! And also thank you for coming from a place of value and ROI for those nonprofits you work with – I completely respect your points and perspective here. I don’t want to speak for the 6,000+ nonprofits who have already signed up for this year’s Giving Tuesday, but I will share why NTEN is participating this year. NTEN is a nonprofit, but we are seen as a service and education provider to the sector. We also have a large conference we run each year, and for many people that is their only interaction with us. Participating in a formal, large-scale fundraising effort like Giving Tuesday gives us an opportunity to remind the community that we are a nonprofit, too – working to raise funds to support the various programs we do all year. Like many (read: basically all) nonprofits, the end of the year is also when we launch our core public fundraising campaign. We have already made the investment in staffing, resources, marketing, and message creation to run that campaign. Adding ourselves to the Giving Tuesday list takes only a minute, and using it as a recognized event (hey, it’s Giving Tuesday, and we are participating) supports a call to donate that we are already planning to make. And may just be the nudge that gets a support to promote that they donated instead of just privately responding to an online appeal. The additional investment is low, but the potential social sharing and additional donations is higher than that small investment. It’s just my two cents, of course, and I appreciate getting to start a conversation about Giving Tuesday with you here. Hope to keep talking! I don’t think you are a Grinch, but I do think that you are not giving your clients good advice. 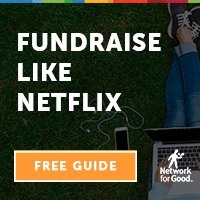 I work with many small/midsize nonprofits, have done a lot of “social media fundraising” over the years (raising over $250,000 for a small grass roots charity just through social channels) and work with a network of community foundations that are hosting giving days. So, there are benefits – The idea will be in the news (gear up for some main stream media attention) – so participating you are leveraging what is timely. Also, it is a low risk way to experiment with social fundraising. And, the GivingTuesday site is providing lots of great content that can be easily shared. Thanks so much for your comments and for stopping by the site. As I said in my post, I think the organizers and supporters of #GivingTuesday (folks such as yourself) have the best of intentions. That being said, I think #GivingTuesday is one of those ideas that looks good in principle, but will actually end up hurting the very same small and mid-sized non-profits it is seeking to help. (1) The #GivingTuesday movement is encouraging everyone to be soliciting their donors on the big day. It would be professional malpractice for me to be encouraging my clients, readers and listeners to be focused on soliciting their donors on the same day as everyone else. Small and mid-sized non-profits have enough trouble cutting through the clutter as it is. Why would I want to make it any more difficult for them? (2) Social media is not an appropriate fundraising outlet for most non-profits. When I fundraise, I look at ROI for the investment of money and time required for a specific tactic. Hands down, the most effective online fundraising tactic for the vast majority of non-profits remains E-MAIL. E-mail is an ACTIVE medium that the non-profit can control. Social media, on the other hand, is a passive medium and non-profits don’t own their profiles or their followers. They are subject to the whims, terms of service changes, and business model adjustments of the social media behemoths. (3) I spend a lot of time counseling non-profits to avoid one-off and spot giving. You know… telling them not to try to substitute fundraising events for real donor engagement. Not to send out a fundraising letter when what they really need is a donor cultivation program involving meetings, phone calls, and in person asks. That doesn’t mean there isn’t a place for events or direct mail. Both can be effective. But we need to watch ROI very, very closely. One major concern I have with #GivingTuesday is that it encourages spot giving. I know you are saying that it can be a focal point for year end giving, but to me, and I suspect to many donors, it feels gimmicky and a poor substitute for a real year-end giving strategy. (4) I think this point is key. I know that the monetary return is being touted by the movement as huge and transformational, but I don’t see it – particularly at the individual non-profit level. Even if (and this is a big if) #GivingTuesday was good for the SECTOR as a whole, it still may not be right for most non-profits. Remember that the average non-profit is small, underfunded, understaffed, and needs to be a good steward of time and resources for donors and clients alike. Again, thanks for your comments Beth! Thanks for your comments. I’m a huge fan of your organization and your mission, so thank you for all that you do. I understand and appreciate your points. And there may be organizations, like yours, that do have the resources in place to really effectively use #GivingTuesday. That being said, I would suggest that the average non-profit brings on no new staff for the end of year fundraising rush, and reserves any extra money for a mailing. I also worry that the message we are giving these small non-profits isn’t simply “mention #GivingTuesday” as a reason to give in the letter or e-mails you are already sending. Instead, at least in the materials that Beth mentioned in her comment, the ones that come from the “#GivingTuesday movement,” we seem to be telling non-profits that they should go all out on this – really push and pull and move donors. And it’s making lots of small organizations (those raising less than, say, $500,000 per year) feel like they HAVE to do this, or they are missing out, but gee, at our organization the Executive Director does all the fundraising too, so… I guess she’ll just have to do this as well. Your point about needing to remind donors that NTEN is a non-profit that needs to raise money, and the fact that tying that message in to a national event like #GivingTuesday helps spread that message is well taken! Thanks for your thoughts. I love your stuff, so to anyone reading who hasn’t checked out JohnHaydon.com – go check it out! I also appreciate your points on my 4 reasons. You’re right, of course, that we do always encourage non-profits to run year-end campaigns, which by their very nature compete with each other in a crowded marketplace. I would posit, however, that there is a difference between telling non-profits to run a multichannel year end campaign over the course of 4-6 weeks and telling them to blast as much as they can out in 1 day. Yes, there are likely outliers who raise a ton during events like Give Richmond’s Amazing Raise, GiveMN, and #GivingTuesday. I would suggest, though, that (a) regional events are different (an organization I support in Richmond focuses it’s fundraising that day on out of town donors, because the competition for Richmond dollars is so fierce) and (b) I believe non-profits would likely have a higher ROI on time and money spent if they invested in major donor cultivation and a real low-dollar donor funnel rather than one-off gimmicks. I’ll be the first to agree that social media stinks for fundraising – if you define fundraising as donations. Email converts much better than social media, and of course face-to-face converts best! That said, social media is about listening to and connecting with your community, which are critical parts of any fundraising relationship. There’s a place for social media for generating attention and getting leads. But it is far from a primary source of revenue for most organizations. I respect your opinions and thanks again for sharing them here! Great conversation, and I have utmost respect for the work and expertise of all of you. You’re all on my “must read” lists! Here’s my thought: What’s good for the goose is not always good for the gander. When #GivingTuesday first appeared on my radar I thought “right on – great to have a day that’s not all about shopping for stuff no one really needs!” It’s a great CONCEPT. In the abstract it makes sense. In practice? Well, I’ve never been a fan of cookie cutter solutions. Nonprofits should not be made to feel they must be lemmings, any more than shoppers must be made to feel they must camp out in front of Best Buy on Thanksgiving eve. Some will get something out of #GivingTuesday promotions; others, not so much. For a nonprofit sector education and service organization like NTEN it makes total sense to promote #GivingTuesday. It’s part of their mission. For the small nonprofits Joe is talking about, many don’t even have the bandwidth to tweet on a consistent basis, let alone set up a content calendar that incorporates use of #GivingTuesday for leverage. And not every nonprofit can figure out an elegant way to piggyback on their existing campaign theme, tagline, logo, etc. with the #GivingTuesday brand. It can be confusing and work at cross purposes. I actually think if #GivingTuesday took place in April or July or just about any month other than November/December it would be a lot more useful to many folks. So I tell folks to look at their options, borrow from resources like The Knight Foundation playbook with ideas of how to take advantage of Giving Tuesday, and then to keep it simple and focus most of their energy on their mailings, reminder calls and thank you’s. What I DO like using #GivingTuesday for is gratitude. And for this purpose it comes at a perfect time of year. The easiest thing for resource-strapped nonprofits to do is to send a thank you video –something super simple created on a smart phone and sent out via email or whatever social channels their supporters frequent — simply thanking folks for all their giving throughout the year. Using #GivingTuesday for stewardship, rather than solicitation, gets around many of Joe’s objections that it results in ‘spot giving,’ perhaps cannibalizing other fundraising efforts. Thanks for your comments and thoughts! Great points. Thanks for continuing the conversation! I am catching up on all of the comments and tweets now. I want to clarify what I meant to make clear in my original comment here: NTEN does not bring on any new staff for our end of year campaign in general or for connecting it to Giving Tuesday, nor do we have any interns (for fundraising or anything else), or use any outside consultants or contractors. The existing staff and our capacity is all that is deployed here. The reference that most small organizations can’t bring on other staff to manage fundraising efforts like this is true for us, too. 1. There is no evidence that #GivingTuesday increases giving. While some charities saw an increase in giving on that particular Tuesday compared to a typical day or that date in the previous year, there is no evidence that #GivingTuesday contributed to an overall increase in giving. There’s actually evidence to the contrary. At best, what appears to have happened is that #GivingTuesday has shifted when some people gave not how many gave or how much they gave. 2. #GivingTuesday is often a social media tactic without a strategy. For many nonprofits, particularly smaller ones, implementing a social media tactic without having an appropriate social media strategy in place is foolish and, potentially, even dangerous. For many, that’s what #GivingTuesday would be. 3. #GivingTuesday can be a diversion of attention and resources from more worthwhile tactics. Each nonprofit should create a development plan based on the organization’s objectives and resources. The best tactics must be selected to support strategies geared to achieve the organizations goals and objectives. For most organizations, particularly small and mid-size ones, other tactics will likely be more wise to embrace. 4. #GivingTuesday looks great on paper. Personally, I like the idea of refocusing the public’s attention on philanthropy during a time of year that has become far too commercialized. Unfortunately, I think the reality of #GivingTuesday is something else. I doubt its real, initial effectiveness. Like Joe, I believe it is even potentially problematic for certain nonprofits. 5. I’m also troubled by the nonprofit sector’s endless quest for easy, get-rich-quick ideas. #GivingTuesday is just the latest-greatest idea. I lecture around the country. One topic I’m frequently asked to speak on, that I bristle at, is: “What’s the latest, greatest way to raise more money?” For most organizations, the reality is that mastering development fundamentals will yield the greatest ROI. I’m not suggesting we shouldn’t be open to fresh ideas. However, I do believe that most organizations would do better to enhance their handling of the basics before they embrace this latest idea. I thank you all for a good discussion. This means that the actual amount raised on GivingTuesday 2012 was some multiple of this figure when you take into account offline giving as well. Finally, let’s not forget that giving is more than just money. It’s time, talent, and treasure. For some organizations, the volunteer time or expertise given has immense value to them and their missions. Thanks so much for your thoughts. I couldn’t agree more. One of the topics that keeps coming up on Twitter surrounding this debate is the suggestion that those of us who don’t support blind participation in #GivingTuesday are somehow spreading fear among smaller non-profits, or telling them to avoid trying anything new. Nothing could be further from the truth. I want to EMPOWER small non-profits, and I encourage them to try new things. However, I think they should – actually, MUST – be focused on ROI for investments of time and money. Like you, I also think they should be focused on comprehensive donor cultivation strategies, both online and off. Thanks for stopping by and for your comments. Your point is well taken. Many of the articles and infographics that are making the rounds supporting #GivingTuesday use that number as the total raised, but upon further inspection you are right, it is just the amount reported by BlackBaud for online processing through your services. Which brings up a huge point – there’s not enough good, comprehensive, solid data on #GivingTuesday for non-profits to make an informed ROI analysis. I do, however, stand by my point – most non-profits will NOT raise a lot of money – and certainly not a lot of NEW money – on #GivingTuesday. There was more than $10 million raised that day, spread across more than 2,500 non-profits. Beyond that, a lot of it is guessing. Most nonprofits raise very little money from social media when compared to all sources (grants, planned giving, large donations, etc.). Nonprofits still don’t have a clue what they’re doing with social media. In fact, Blackbaud recently reported that 54% of nonprofits don’t have a content marketing plan. #GivingTuesday gives these nonprofits a framework to develop that plan. The goal for using social media should never be to raise money. Raising money online is insanely difficult, and sometimes even hopeless. And using social media can feel confusing and frustrating. Hopeless + confusing + frustrating = crappy results. Raising money can be a secondary goal, but the first goal should always be about engaging your current community. I’m talking about the intent here. Once your intent is “clear and sincere”, you start understanding why engagement metrics are the key to success with social media. Thanks for pointing this out. Couldn’t agree more when you say social media is about engaging your current community. It’s part of an overall cultivation strategy for donors that involves talking to them where they are. If they’re on social media, well, you should be too… but with a plan in place and some goals in mind. Good points to consider. At the end of the day, and as with all campaigns it comes down to prioritizing your resources and I think this is Mr Garecht point, if there is no system in place to make those crucial face to face contacts at the end of the year, then the organization is better of spending the time to develop that first. The one size fits all doesn’t fit anyone. I wanted to thank everyone on this thread for a great discussion, and I think Marcela’s comment is true. There’s no one size fits all: the size of the organization, the way it’s been conducting its messaging over the years, and the kind of non-profit it is, all factor into what works and what doesn’t. In fact, I think there’s a real vacuum out there for information and best practices on innovative fundraising approaches (like #GivingTuesday) for think-tanks, as opposed to what’s available for advocacy and direct service/relief organizations. I’m curious to read more on what types of organizations really benefit from #GivingTuesday. Why on earth would you want to send someone away from social media to get your content? When they spend all their time on social media! Whey on earth would you focus on an email to acquire when the average email open rate leaves over 85% of people in the dark? Participation in GivingTuesday should be about tactical and saturated approaches, and sometimes the brand needs to get out of it’s way and let the ambassadors lead… Giving Tuesday is about crowdfunding, hands down. That is how you can be successful. Oh, and try starting to ramp up your campaign in September instead of on the day everyone floods the channels. Thanks for your comments. As we’ve said over and over again on this site, while social media can be a good way to communicate with your donors, it’s a medium you don’t control. The reason why non-profits need to spend time on social media trying to drive people back to their sites to collect e-mail addresses is because you can’t control how you reach people on social media. For example, if your non-profit posts a message on Facebook, how many people that are following you will see the message? Facebook only shows the message to <10% of the people following you, and of those, many will just flit right by it. It's your responsibility, as a fundraiser, to move people to active mediums that you control. When you send out an e-mail, everyone will receive it and see the subject line. If only 15% of the people you send it to are opening it, (a) you're doing it wrong and need better e-mail cultivation ahead of time, not to mention better subject lines, and (b) that's still more people than will see your message on social media. I’ve given to, or volunteered for, all of these excellent groups in the recent or more distant past. But to be spammed in unison? No thanks. The messages crowd each other out, and they all lose by adding to the din. Thanks for your thoughts David. I agree – from a donor’s perspective, it’s overwhelming. And the more charities that choose to participate, the worse the onslaught will feel. How did I miss this conversation!!! Stupid of me. Anyway, here’s my 2 cents for what it’s worth. 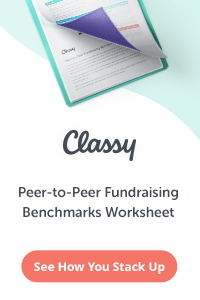 Like Claire’s goose/gander comments, there’s room for all fundraising channels. The thing that bugs me about Giving Tuesday is the silver-bullet issue. Many nonprofits get hooked on “silver bullet” strategies, lurching from campaign to campaign, instead of working on a consistent, long-term “raise money every day” mentality. While specific “trigger events” have a useful place (annual gala, Giving Tuesday, whatever it is in your particular organization), they simply don’t have the long-term power needed. When sales organizations are successful, it’s usually because they sell every day, week, month, quarter and year. (This is true in the business-to-business world, not as much in direct-to-consumer.) It’s the constant, consistent, predictable activity over the long haul that’s going to make the biggest difference. So I guess Giving Tuesday and other crowd-funding campaigns is kind of like jalapeno peppers. Use them wisely and sparingly.